Apply online for SBI Credit Card: Check Eligibility ✓ April 2019 month Latest offers on Shopping, Dinning, Travel ✓ Application Status ✓ Fee charges ✓ Customer Care ✓ Reward Points ✓ Get Instant Paperless Approval Online at Deal4loans. 2. Have a Bank Account in SBI, If looking for credit card on the basis of account. 3. Photo copies of ID card, income proofs and address proof should be submitted. 4. You should be an earning individual and should be above 21 year and less than 60 at the time of apply. Do you have any loan running? 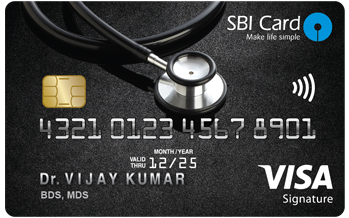 Doctor SBI Card: Doctor’s SBI Card drives maximum value for doctors through accelerated rewards on spend categories relevant for them such as medical supplies, travel and international spends. Many doctors, at a certain stage in their career, operate through private clinics. You can contact SBI Card tollfree in case of any query or feedback, card lost or stolen cases at below provided numbers of SBI Card. Thimascook 5% Cashback Offer for transaction done at ThomasCook through YONO App/website INR 50,000 Up to 5% cashback 8-17 Mar, 2019. You can pay for sbi credit cards bills by over 12 different ways / Options– Utility bill payments, Via Paynet, Visa credit card pay, Electronic Clearing, Paycash, ATM, Locate & Pay, Auto Debit, Online through SBI, Mobile Banking, NEFT etc. For payment of sbi card through yono app, you have to first link your card and app, through few steps. Login to YONO by SBI App using MPIN or SBI Internet banking credentials. Enter OTP password and Its done. How you can make a payment of SBI credit card through YONO APP? Follow same steps till login on yono app by using sbicard.in login credentials. Check the status of your application via application number. Retrieve application via Date of birth & PAN Card number. Redeem your earned reward points via visit (https://www.sbicard.com/en/personal/rewards.page), you can choose above 174+ products from the sbicard website or Category wise like Accessories, Apparel, Electronics, entertainment, E-voucher, health & fitness, Homeware, Kids Zone,Luxury and Travel & holiday. 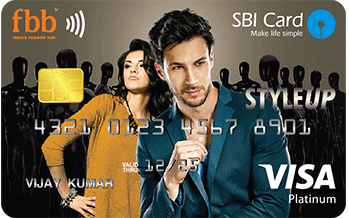 SBI Cards is a joint venture between State Bank of India, country’s oldest and largest bank and GE Capital. The partnership is operated through 2 joint-venture companies – SBI Cards & Payment Services Pvt. Ltd., focusing on the marketing and distribution of SBI Cards and GE Capital Business Processes Management Services Pvt. Ltd., which handles the technology and processing needs of SBI Cards. State Bank of India is currently one of the best card issuers in India with a base of over 2.7 million customers and offices in 63 cities. 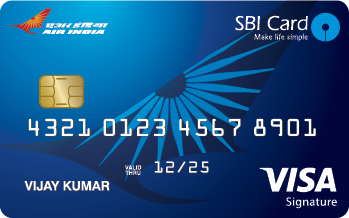 SBI Card offers you a card for every need – Premium Cards, Travel & Shopping Cards, Classic Cards and Exclusive Cards & Corporate Cards along with Value added Services, Utility Bill Payment, Card Payment Options, and Offers & Rewards thereby, offering Indian consumers an extensive access to a wide range of world-class credit cards. 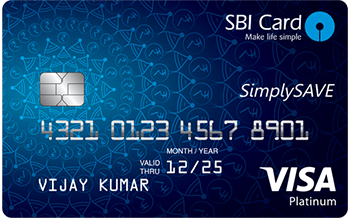 Apply for a new SBI Credit Card now and Make Life Simple. 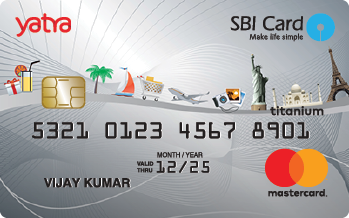 Disclaimer: The information displayed on this website is taken from sbicard.com. The information doesnt imply that we are associated with sbicard. Deal4loans.com makes no warranty, and expressly disclaims any obligation, that: (a) the content will be up-to-date, complete, comprehensive, accurate or applicable to your circumstances; (b) The Website will meet your requirements or will be available on an uninterrupted, timely, secure, or error-free basis; (c) the results that may be obtained from the use of the Website or any services offered through the site will be accurate or reliable; or (d) the quality of any products, services, information, or other material obtained by you through the site will meet your expectations.